We were just recently asked to explain what the Dancing Moominvalley production was all about? Well. How could we put the whole matter into a nutshell? Listen. The most famous literature from Finland are probably the Moomin books by writer Tove Jansson. Her books have been adapted into television and film and have even inspired a museum known as The Moominvalley of the Tampere Art Museum. Moominvalley is also dancing. The Moomins dance, their friends dance, even nature itself dances and makes the Moominvalley inhabitants dance. 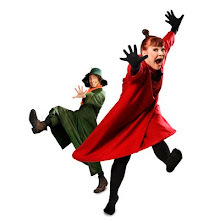 "Dancing Moominvalley is an award winning dance production which has been touring both in Finland and internationally from 2010. The piece is choreographed by Dance Theatre MD’s choreographer Samuli Roininen and the music is composed by Heikki Mäenpää. Based on Tove Jansson s book "The Tales from the Moominvalley"(published in 1962), The Dancing Moominvalley is a family dance adventure that begins with Snufkins search for his missing spring tune. The versatile Dancing Moominvalley ensemble leads the audience into a magical place of searching, learning and lifes little and big wonders." 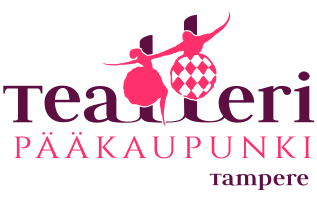 This 50-minute dance theatre performance (and its interactive little sister concept Peeks to the Dancing Moominvalley) got its world premiere in 2010 at the Hällä stage in Tampere, Finland. Since then, Dancing Moominvalley ensemble has been touring abroad for instance in Fukuoka (2009), in Shanghai (2010), in San Diego and Essen (2011), in Stockholm and Tucson (2012). Next time Dancing Moomins will be seen during the Finnfest USA 2013 festivities in Hancock, Michigan in this June. In this interactive performance you can sing along, dance, clap, and join in teaching Moomintroll some brand new dance routines. So, if you feel like having some Moominsummer madness, see for yourself why FinnFest could be an excellent Midsummer destination in 2013! To take a sneak peek, click the link below.